Feminist or goddess – why must women choose? 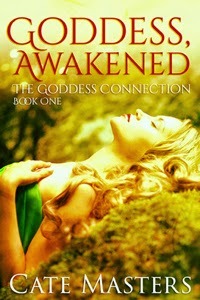 A funny thing happened during the release party for Goddess, Awakened. At first, we were having fun, discussing mythological goddesses and favorite authors and books. Maybe I should explain why I began writing this series, The Goddess Connection, which will all be paranormals/fantasies based in mythology, all stand-alones, each based on a different goddess. I love empowering women. Celebrating their uniqueness. Each of us have talents or skills we might view as quirks, and maybe we even dislike ourselves because of them. Or maybe we simply ignore them to fit into a more standardized life where we go through the motions but don’t really feel fulfilled. 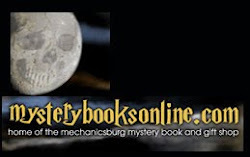 In each of these books, the heroine will have lifelong quirks that she sees as detrimental, but by the end, she’ll learn that these quirks are actually strengths. They help define her as an individual, and that’s not a bad thing. I’m definitely confused too. Obviously, these young women have the wrong idea about feminism. Maybe they picture a militant society where females are barely distinguishable from males, some sci-fi interpretation that skews the real meaning. To me, feminism honors the struggle and hardships women endured to receive basic rights that should be afforded any human. To vote. To have an education. To choose for themselves how to live their lives. To better themselves in whatever way that appeals to them. The HuffPost article put the question about a feminist label for my books in perspective, and if someone asks again, I’ll have to better qualify my answer. Yes, to be a goddess means to embrace your best self. The only way to do that is by freeing yourself from restraints, either from outside or originating in yourself. In my mind, the same definition applies to feminism. And if you’re interested in The Goddess Connection, the first book is now available from Kensington Publishing’s Lyrical Press imprint.